Nursing home abuse and neglect in Florida is a far more common problem than the state acknowledges and yet state lawmakers are looking to loosen regulations at nursing homes, according to a recent article in the Orlando Sentinel. It is reported that the nursing home industry will have fewer staffing requirements and watchdog programs could become obsolete in recent moves made by state lawmakers. 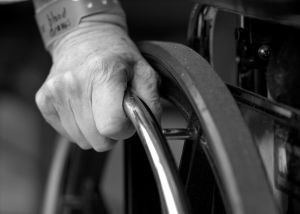 Fort Myers nursing home neglect attorneys witness evidence routinely from families whose loved one has been a victim of abuse or neglect in a nursing home or assisted living facility. Elder care facilities have a responsibility to protect our loved ones — yet we often see signs of neglect like bed sores, malnutrition, infections, inappropriate living conditions, physical abuse, broken bones or insufficient caretaking. The Long-Term Care Ombudsmen Program, established back in 1972, was meant to advocate for elders who live in nursing homes, adult care facilities, and assisted living facilities. The aim was to improve quality of life and resolve issues that arise within facilities at the local, state and national levels. -Residents needing assistance were left unattended by nursing home staff. -No notice or planning for eviction or discharge was given. -Attitudes by staff were poor and exhibited a lack of respect for nursing home residents. -Food being served to residents lacked in variation, quantity, and quality. -Improper management and administration of medications given to residents. Florida’s head ombudsman for the watchdog program was recently relieved of his responsibilities. The nursing home industry objected to the investigations of the 400 volunteer ombudsmen who were visiting nursing homes throughout the state and documenting instances of neglect or abuse while holding the facilities accountable for their unprofessional actions. The watchdog program to date has proven to be highly successful with a 98 percent satisfaction rating and over 9,000 investigations documented in a record high year. Unpaid workers kept the program cost-effective in an attempt to look out for the older population who can no longer take care of themselves. -A 75-year-old male suffering from dementia wandered out of the facility and was eaten by alligators. -Evidence of illegal restraints being used by some facilities. -An owner of an assisted living facility threatened residents with a stick while refusing them medication and food. -A 71-year old died from burns obtained from a scorching bath. -Residents were permitted to beat each other with 2-by-4s while staff stood and watched the behavior. -Deaths at nursing homes from abuse and neglect are occurring on average of one a month. These may be extreme examples, but they happen at facilities throughout the state. As the state makes moves to support the nursing home industry and hold elder care facilities less accountable for their actions, it becomes even more important to research your options before putting your loved one in an elder care facility. Make a checklist, visit numerous facilities and ask a wide variety of questions before choosing which facility is going to give the best care to your loved one. Avoiding incidents of abuse or neglect is the best thing you can do for your loved one during their final years. The personal injury lawyers at Associates and Bruce L. Scheiner, Attorneys for the Injured, fight for the rights of our older adult population who have been abused or neglected at nursing homes or assisted living facilities in Fort Myers, Naples, Bonita Springs and elsewhere in Southwest Florida. If your loved one has experienced abuse or neglect, call for a free and confidential appointment at 1-800-283-2900.